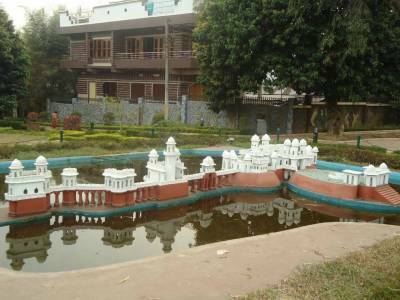 The Heritage Park is built by the Government of Tripura in the heart of the capital city. The Heritage Park by the Agartala GBP Hospital Road in Agartala next to the Raj Bhavan, is a grand establishment, inaugurated in the year 2012 by the Chief Minister of Tripura. 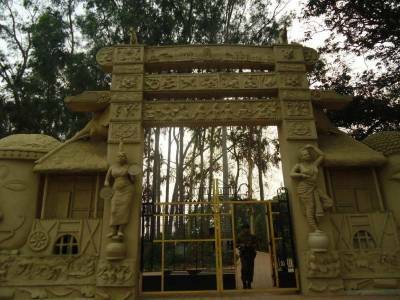 The entrance of the park is a mind blowing piece of artistry that harmonically mixes the art and culture of both tribal and non tribal section of Tripura history to present a unique state of art structure. The garden is very well manicured and sculpted by the landscape designers. 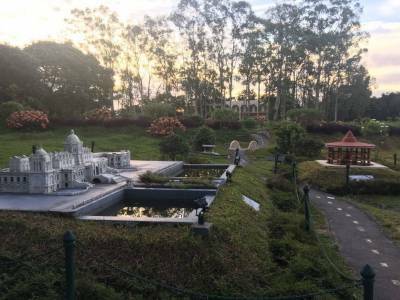 The 12 acre park is covered by a 1.1 KM long park pathway that connects the three section of the Heritage Park namely - The Mini Tripura, The Natural Forest and The Medicinal Plant Table Top. 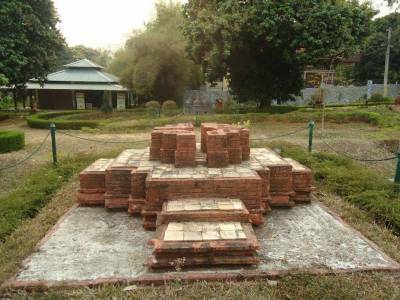 The main attraction of the heritage park is that it offers the travellers all the flavours of Tripura at a single spot. All the glamour, vigour and wonder of Tripura are presented to the tourists on a well decorated palate. The miniature versions of the wonders of Tripura namely Unakoti sculptures, Neermahal Palace, Ujjayanta Palace, Tripura Sundari Temple, Stone relics of Pilak, Mahamuni, Chandrapur etc. To give more grace to the Heritage Park, the addition of many natural resources of the Tripura forestry is planted on the natural forest part of the park. The indigenous tress and exotic flowers and animals of the land are preserved in this part of the park. 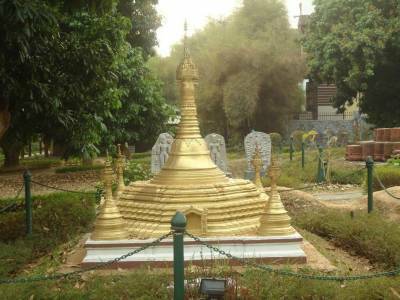 The Park is further decorated by heritage benches, stone statures, monuments, earthen potteries, wood carving and much more to keep visitors interested and entertained in this serene ambience of the miniature Tripura. Get quick answers from travelers who visit to Heritage Park.